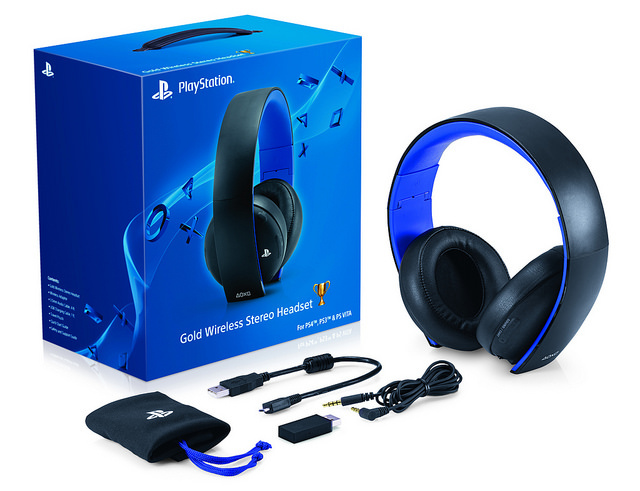 Sony has announced a new wireless headset for the PS4, called “Wireless Stereo Headset 2.0”, along with support for the two previous wireless headsets on the PS3. PS4 Firmware v1.60, releasing tomorrow, will adds support for the official PlayStation headsets, while the new 2.0 version will be available from February 10th 2014. The Wireless Stereo Headset 2.0 will be available from 10th February 2014 (market dependant) at £79.99/€89.99 SRP. The headset can be used at home using the USB wireless adaptor with your PS4, PS3, PC or Mac for up to 8 hours thanks to its rechargeable battery. You can also use the headset on the go with your PS Vita or with other mobile devices using the included 3.5mm stereo mini jack. With its foldable design the headset is ideal for travel and storage, so when you’re not using it, simply fold your headset up. 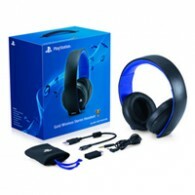 What’s more, you’ll be able to access custom sound modes to enhance your gameplay, music and movie experience on PS4 and PS3 through the Headset Companion App, available soon from PlayStation Store at no extra cost (also available through an update patch to the PULSE Manager app on PS3). In addition, the app also offers a variety of preset audio modes for games, music and movies, as well as a tool to create your own custom EQ mode. The Headset Companion App will be compatible with Wireless Stereo Headset 2.0 and the PULSE Wireless Stereo Headsets on both PS4 and PS3.